The last two decades have witnessed phenomenal advancements in information technology (IT), which have fostered a remarkable level of innovation in products and services offered across numerous industries. Yet, international arbitration, forming part of the legal services industry, has been so far practically unaffected by such developments. To be sure, one can find examples where the international arbitration community has been improving its services through implementation of new IT: video conferencing, e-disclosure, use of online platforms and cloud-based technologies. However, these and other similar steps are improvements of an incremental nature, well known to most and successfully practised by many arbitration practitioners and institutions. Accordingly, this article will look forward and concentrate on a ground-breaking technology that within the next 100 years will, apart from affecting all aspects of our lives in ways that we cannot yet imagine, create genuine innovation in international arbitration – Artificial Intelligence (AI). In 1955, John McCarthy suggested the term ‘artificial intelligence’ in a research project proposal, which described AI as a problem ‘of making a machine behave in ways that would be called intelligent if a human were so behaving’. Sixty years later, after several hype cycles inevitably followed by ‘AI winters’, the general consensus is that scientists are finally creating systems sophisticated enough to fall within the meaning of AI. IBM’s Watson, ‘a technology platform that uses natural language processing and machine learning to reveal insights from large amounts of unstructured data’, is the most celebrated example of AI machinery. Watson may comprise multiple enabling technologies that may be added and configured depending on the required functionality. Two technologies are of fundamental importance to its ‘intelligence’: (i) natural language processing (NLP) and (ii) machine learning (ML). NLP may be described as a ‘problem of understanding strings of characters that form words, sentences, or larger assemblages of text in “natural” language, such as English’. ML may be defined as ‘a set of methods that can automatically detect patterns in data, and then use the uncovered patterns to predict future data, or perform other kinds of decision making under uncertainty (such as planning how to collect more data!)’. Since its triumph at Jeopardy in 2011, Watson has unequivocally established that AI machines can ‘understand’ text, including grammar and context, and ‘learn’ through making decisions in response to altering circumstances. An international arbitration specialist may now begin to contemplate the potential use of such technologies in her/his practice. The practice of international arbitration often entails having a grasp of international law and several domestic legal systems at the same time. Moreover, parties submit to tribunals voluminous hard copy and electronic documents. Accordingly, international arbitration is a document intensive field of law that requires counsel and arbitrators to spend countless hours on legal research and document review. Due to an ever-growing demand for speed and efficiency, the present state of affairs cannot last. A significant amount of legal research and document review has now shifted from libraries and client basement archives onto online platforms. However, in the hunt for exhaustive research/review, counsel and arbitrators still read through innumerable pages, frequently containing irrelevant text. Application of search terms to text is mostly of assistance but is regularly impeded by false positive results and, in any case, requires constant human supervision. Use of AI for legal research and document review in the foreseeable future will cut the time necessary for such exercises from hours/days/months/years to seconds (in some instances to milliseconds). Transcripts: Generally, the parties in international arbitration prefer to use the services of transcription service providers at hearings. Instructing such specialists, of course, is an additional expense for the disputing parties that involves various logistical arrangements and complications. AI may render the use of court reporters obsolete as the AI platform would be able to record the hearing via microphones and provide a real-time transcript with speaker identification for all concerned. Interpretation: Parties in international arbitration often need to present witnesses that may require the assistance of interpreters. This also involves time and costs that may be cut by using AI for interpretation purposes at the hearing. Translation: A document-heavy international arbitration may force parties to translate evidence into the language of arbitration, thus incurring substantial costs and extending the arbitration process. AI will, of course, be capable of translating thousands of documents in seconds with very high accuracy, including scanned, hand-written or annotated documents. Arbitrators spend a lot of time on drafting standard sections of their arbitration awards, e.g., the parties, the procedural history, the arbitration clause, the governing law, the parties’ positions, and the arbitration costs. Arbitrators may save time and parties’ fees by delegating the drafting of such ‘boilerplate’ sections to AI machines. When the parties fail to appoint arbitrators or when arbitrators fail to agree on a chair, generally a default appointing authority will come into play. AI may assist with such appointments by providing its list of potentially suitable candidates based on multiple variables, for example, knowledge and experience in particular areas of law, languages, number of pending and concluded arbitrations, level of party satisfaction in previous cases, time taken to render a final award (on average), and, importantly, potential conflict of interest that AI may identify by scanning through databases and the Internet. It seems possible to suggest that AI designed for international arbitration will continue to rapidly improve, reaching a stage when it would be conceivable to request AI for an expert opinion and even to render an award. An easily identifiable area of discomfort and an obstacle to allowing AI to perform such functions is the lack of understanding of how the decision was reached. However, Watson’s developers claim that when answering questions, Watson develops hypotheses and makes evidence based decisions (taking into account a degree of confidence in percentage terms based on the preponderance of evidence). Therefore, AI is capable of reasoning and, over time, AI will begin producing lines of reasoning logical to a person. As mentioned previously, the costs and time involved in creating an AI-generated expert opinion or an arbitral award will be cut to an absolute minimum: a development which, without a doubt, will be welcomed by the international arbitration community. In order for AI to be successfully integrated into the system of international arbitration in the future, its definition should be crystallised and its use should be regulated. Perhaps, some would suggest creating a custom (state-of-the-art) legal framework for dispute settlement by AI. Yet, another route may be to amend the existing arbitration rules, domestic legislation, and international agreements. The suggestions below are of a general and non-exhaustive nature. Let us use the DIFC-LCIA Arbitration Rules (effective 1 October 2016) as an example to suggest amendments that would allow the DIFC-LCIA to offer AI to the disputing parties. The expression the “Arbitral Tribunal” includes a sole arbitrator or all the arbitrators where more than one. [An arbitrator includes Artificial Intelligence Software]. 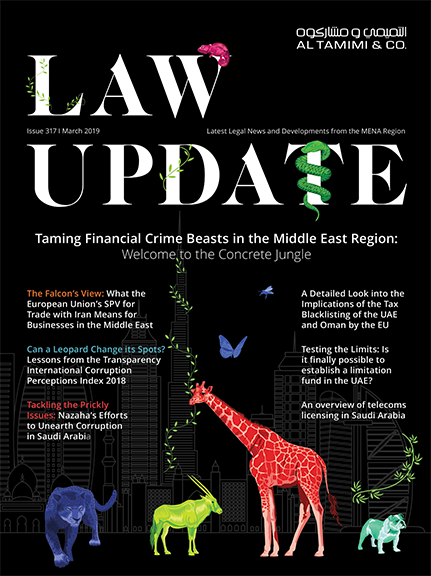 Additionally, drawing inspiration from Article 9B (‘Emergency Arbitrator’) of the DIFC-LCIA Rules, a new AI-specific article could be introduced into the DIFC-LCIA Rules containing a definition and provisions pertinent to the use of AI, including which articles of the DIFC-LCIA Rules do or do not apply to AI. Consequently, and unless otherwise agreed by the parties, AI may become a default sole arbitrator in certain disputes, for example, disputes under a certain amount or of a certain complexity/sector (e.g., construction). The parties are free to determine the number of arbitrators provided that it is an odd number. [An arbitrator includes Artificial Intelligence Software]. However, it is not yet clear how AI would co-operate in ‘mixed’ arbitral tribunals (consisting of AI and human arbitrators). Therefore, it is possible that a separate section dealing exclusively with AI as a sole arbitrator may be required. For AI to become commonly used by the arbitral community, it is essential, for reasons of legal certainty, that major international agreements concerning international arbitration recognise AI as equivalent to arbitrators or arbitral tribunals. Of course, the Convention on the Recognition and Enforcement of Foreign Arbitral Awards 1958 (the NY Convention), to which the United Arab Emirates and other GCC states are parties, is one of the most important international agreements of such a kind. However, it does not seem realistic, considering the amount of time that was required for 156 States to become parties to the NY Convention, to obtain signature to such an amendment in the near future. Regardless how the above may sound, large international law firms already employ ‘data scientists’, ‘legal solutions architects’ and ‘heads of strategic client technology’, who focus on IT and AI solutions that would assist human counsel. New companies are being incorporated with a particular focus on AI solutions for legal research. One law firm went far enough to employ two computers as partners. As is the case with any new technology, AI will require a significant influx of capital at the beginning. It will also require constant development and improvement. In this regard, software developers will have to work closely with arbitration practitioners to identify problems that may occur and to streamline processes. With time, AI will reach a stage when its use in arbitration will be universal and its cost will be no higher than one of the average office computers of today. AI will become an assistant to arbitrators and, in some cases, even an arbitrator possessing vital qualities for human arbitrators as being relentless, consistent, systematic, impartial; and it will continue to improve and grow to be powerful. Yet, there exists some scepticism towards an idea of assisting an arbitrator with AI, and even more – replacing a human arbitrator with AI. To shift thinking in line with technological development, one should consider this: airplanes are being landed using autopilot; cars are being driven autonomously. If humans entrust their lives to machines/computers, why should not AI take care of, perhaps, less important matters like settling arbitration disputes? Al Tamimi & Company’s Arbitration team regularly advises on international investment and commercial arbitration. For further information, please contact Thomas Snider (t.snider@tamimi.com) or Sergejs Dilevka (s.dilevka@tamimi.com).